This Pair of hoops are awesome. 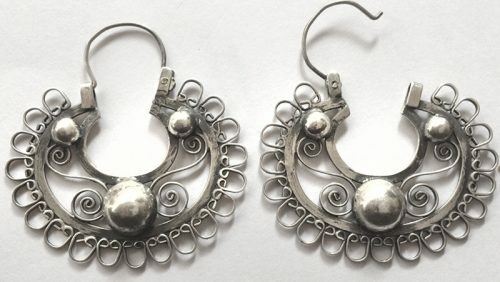 They are silver sterling 925, very comfortable and easy to wear. These were made by Mexican artisans born in Oaxaca. 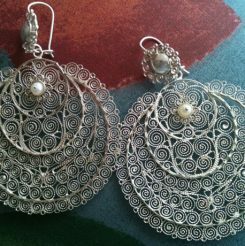 Hoops have a nice shape and their simple filigree will captivate your eye. Large lovebirds earrings with old coins. 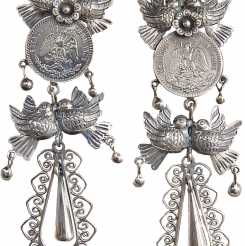 On top lovebirds are kissing, they have a flower in the middle and an old silver mexican coin . Center another pair of birds with gracious silver beads they are carrying a silver drop on bottom, which is surrounded by filigree. 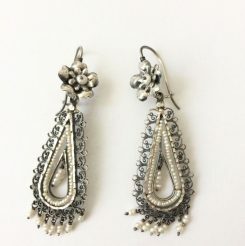 At the very bottom, hanging, three small silver balls. This pair is quite comfortable to wear, in spite of size. 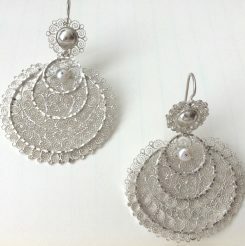 If you like large earrings, these are a beautiful option. Earrings are: 9 cm tall-3.54″ tall . Feel free to ask about other sizes. 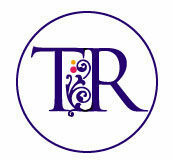 Flower on top represent nature, filigree sun rays and pearls water. 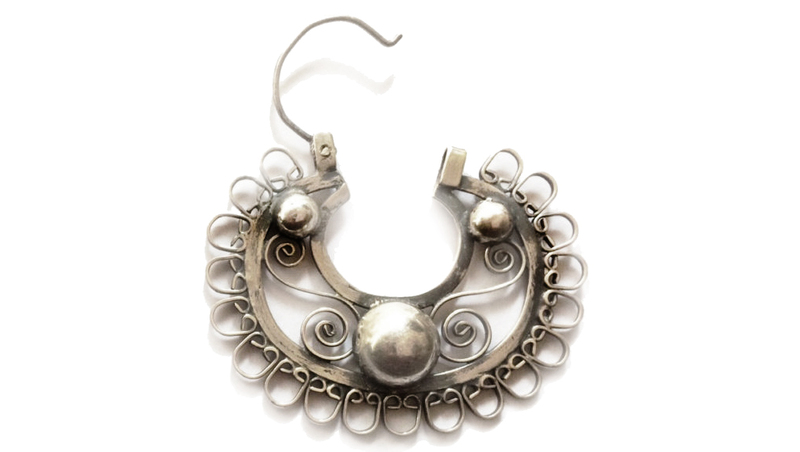 These earrings Are amazingly beautiful. 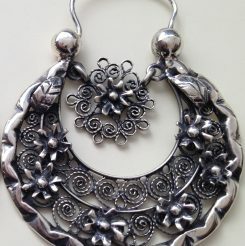 For pierced ears, filigree is hand made and flower is repousse technique.